Dothan County Alabama police corruption: What do we actually know? 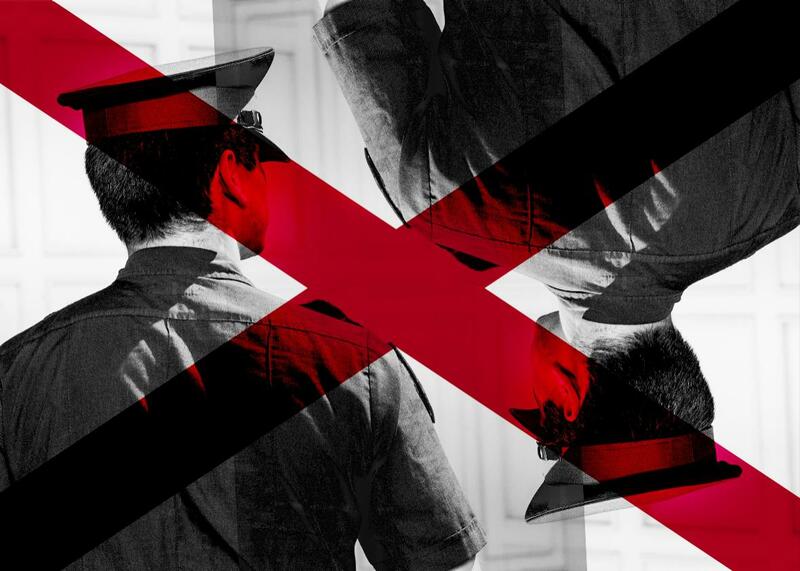 What Do We Really Know About the Alleged Police Cover-Up in Dothan, Alabama? A closer look at a viral article reveals that it offers little evidence to support its disturbing claims. Photo illustration by Lisa Larson-Walker. Photo by Michael Blann/Thinkstock. On Wednesday morning, a shocking article published by the Henry County Report took flight on social media. It said that as many as a dozen police officers in Dothan, Alabama—all members of a white supremacist organization—had spent years during the 1990s systematically planting drugs and weapons on young black men, while law enforcement officials, including the local district attorney, protected them. The racist campaign had resulted in nearly 1,000 wrongful convictions, the article said, and many of the innocent people who had been ensnared in the trap were still in prison, while the lieutenant who had overseen the group of rogue officers had become Dothan’s chief of police. Jon Carroll, the author of the article, wrote that an organization called the Alabama Justice Project had obtained a trove of internal documents that proved the allegations. Carroll posted scanned images of some of the documents online, along with a photograph showing a group of white men standing around a Confederate flag with a caption indicating they were Dothan police officers. Carroll’s article went viral, with thousands of people, including many prominent journalists, sharing the link to the Henry County Report on Twitter and Facebook throughout the day. The tone was one of outrage and disgust: In one representative tweet, the Washington Post’s Radley Balko wrote, “Keep this handy for the next time someone argues that racism is no longer a problem in the criminal justice system.” Before long, the story of the rogue cops in Dothan and the corrupt officials who had swept their misconduct under the rug was being picked up by national media outlets like the New Republic, Boing Boing, the Week, and the Marshall Project, which featured the article as a news item in its widely read morning newsletter. As the criminal justice reporter at Slate, I was as interested in this story as my peers. It felt big and damning, and while I hadn’t heard of the Henry County Report, I assumed it was a local newspaper and that the article had been the result of an intensive journalistic investigation. I started in on my own item about the investigation, making notes on the key paragraphs so that I would be able to quickly write up a blog post about it when I was done. I soon noticed a problem, however. None of the central accusations that the Henry County Report was making against the Dothan Police Department were clearly supported by the documents Carroll had posted. The documents were certainly suggestive of misconduct—but as far as I could tell, they weren’t definitive proof of anything, let alone a massive conspiracy by white supremacist cops to plant evidence on 1,000 black men. Take the first document Carroll posted: an undated memo labeled “notification of charges and/or allegations.” The allegations are not described, and the name of the officer who was being notified of them was whited out. The anonymity in the memos makes it very difficult to take Carroll’s exposé at face value: None of the officers who allegedly planted evidence on people are identified by name, except for one. That officer, Michael Magrino, seems to have been the subject of an internal affairs investigation that ended with then-Sgt. Keith Gray writing a report in which he recommended Magrino be fired. But what specifically Magrino was accused of is not clear, because Carroll only posted a two-page excerpt of Gray’s report. On the first of those two pages, Gray writes about a gun that Magrino lost and then found under suspicious circumstances; the lack of context makes it hard to assess the incident or its import. On the second page, Gray writes about “at least 50 case folders that contain drugs”—some of which Magrino had in his possession for “over two years”—that “should have been submitted to the Property/Evidence Officer for storage and chain of custody issues.” While the report does indicate that Magrino was found to be in violation of department policy—indeed, Magrino resigned under pressure after the report was filed—the two pages that Carroll posted don’t contain any mention of planted evidence. A separate document does make reference to a lie detector test in which Magrino was asked about planted evidence, a test that Margino seems to have failed. But we don’t know what Magrino was asked about specifically, and polygraph results, while perhaps suggestive, are not authoritative. The photograph of the Confederate flag enthusiasts that ran at the top of the article, meanwhile, is so blurry that it would seem impossible for anyone who doesn’t know the Dothan police officers personally to corroborate whether the individuals who appear in it are actually the people Carroll says they are. A few minutes of online research does confirm that Dothan Police Chief Steven Parrish is, or at least has been, a member of the Sons of Confederate Veterans, but there’s considerable debate within the group about what it actually stands for, and Carroll is incorrect when he writes that the group has been labeled “racial extremists” by the Southern Poverty Law Center. None of this is to say that I think Carroll is necessarily wrong about the malfeasance he describes in Dothan. I just have no idea if he’s right, and neither do the thousands of people who shared his article yesterday as if it were a substantiated piece of journalism rather than what it actually is: a call for further investigation. I called Carroll yesterday, and he told me he has more than 800 documents in his possession and will be releasing them slowly over time, in accordance with agreements he has made with his confidential sources. When I told him I didn’t think the documents he had posted so far provided enough evidence to base a story on, he told me he understood, but that his primary goal wasn’t to convince readers like me, but rather to get the Justice Department to investigate. This is fair enough; the Henry County Report is not really a traditional newspaper, as I and I imagine many others assumed it was. In fact, it’s a website with an intense focus on alleged police scandals that seems to have published fewer than 100 articles—including a video interview with Carroll himself about allegedly having drugs planted on him—since it was founded, Carroll told me, by him and several associates three or four years ago. The evidence Carroll has put forth so far isn’t enough. That doesn’t mean the Dothan Police Department is innocent of his accusations. It just means we can’t pretend we know its cops are guilty of the crimes Carroll alleges. And while the “mood of the country”—to use Carroll’s phrase—certainly gives those accusations added relevance, that mood seems to also have made many of us all too eager to believe a story about police misconduct. That’s exactly the kind of bias that opponents of police reform ascribe to Black Lives Matter activists and the journalists who cover them, and it undermines the hard work that goes into exposing a corrupt institution. Right now we don’t know what happened in Dothan. Maybe a journalist, or the Department of Justice, will uncover the story, and if it’s anything like the conspiracy Carroll suggests, outrage will be more than justified. Until then, we should be on guard against the temptation to play fast and loose with evidence ourselves.